You are here: Home » Smoking toons! 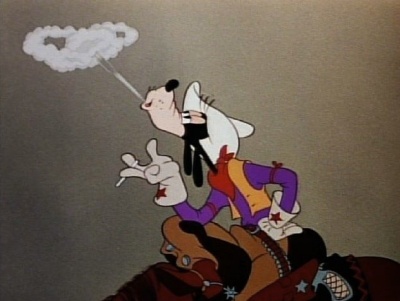 Do you remember when your favourite cartoon character smoked? I do. Probably up to the 80s we saw cartoon characters smoking and we didn’t care. Be that a last cigarette before a firing squad, a huge cigar for becoming incredibly rich or because they like them and feel the need to tell the world how good that manufacturer is. 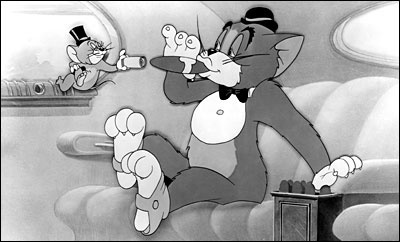 That is probably the most famous piece of cartoons smoking. Winston cigarettes were The Flintstones’ sponsors for the first couple of seasons with Fred and Barney as their spokestoons. After that they moved the show more towards children and as such they dropped Winston and moved to fruit juices from Welch’s. Today, it’s very hard to find any cartoon that has a character that smokes in it. Especially when it’s aimed at kids. In the “old days”, this one is the only one left from that era. So everyone do The Bender. We all know that smoking is bad but to go back and edit these scenes out of them, especially on “video” releases is criminal. Destroying a piece of cinematic history all because we have changed our outlook on some things that have changed over time. 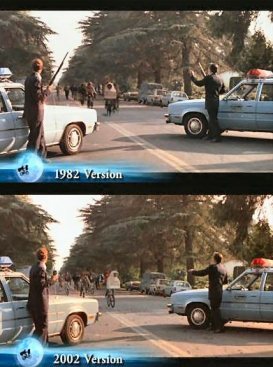 The removal of the guns and replacing them with walkie-talkies in E.T. The Extra Terrestrial for its 20th anniversary re-release in 2002. The removal of Paul McCartney’s cigarette from the latest re-release cover of The Beatles’ Abbey Road album. This may have only happened on some of the re-release posters and not the actual album artwork itself.